How secure is your home, if it would only take a thief with a Philips-head to gain access? Tamper-proof security fasteners add a layer of much-needed protection. For years, companies have been trying to keep one step ahead of vandals and thieves by manufacturing so-called security fasteners, removable only with specialized tools. Predictably, the bad guys keep finding workarounds. There are now dozens of security fasteners on the market. Some of the more effective crime-busters are those with a protruding pin in the middle of an otherwise conventional screw head. Another popular type—referred to as “snake eye” fasteners—features only two small indentations on top. Still another has no slots or indentations at all, leaving the would-be thief to see only a flat, slightly-out-of-round head. And, of course, there are always reverse-thread fasteners. These are designed so that when crooks try to screw them out, they’re actually making them tighter. 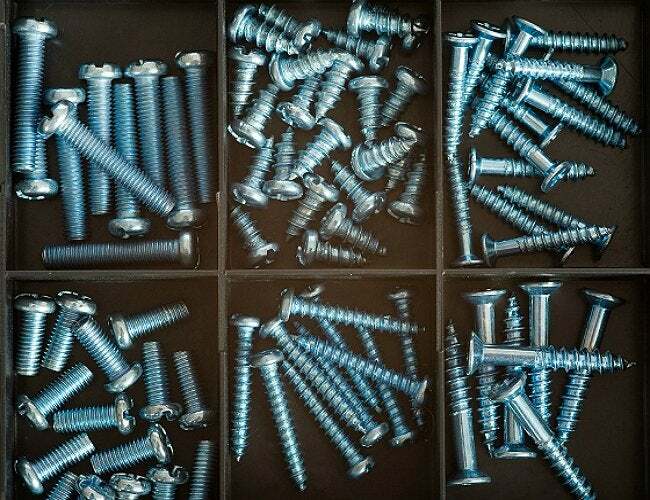 Shop your local home center for many of these fasteners, along with the tools that fit them. For some of the more exotic security fasteners, though, you’ll need to go to specialized suppliers.